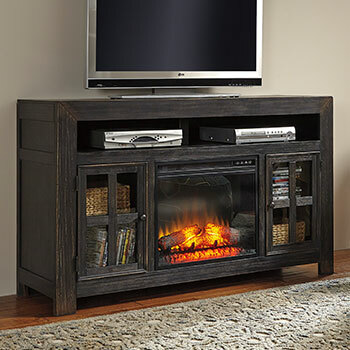 Acquire TV room furniture for entertaining guests in Wayne, Michigan. Today in the digital age, we all aspire to be celebrities and entertainers in our ownrights. Some of us do this by upgrading our wardrobes and smartphones. You’re a savvy shopper, and just a new t-shirt or two won’t satisfy you. You need a veritable entertainment center, housing all of the latest electronics and gadgets you’ve gathered over the months. 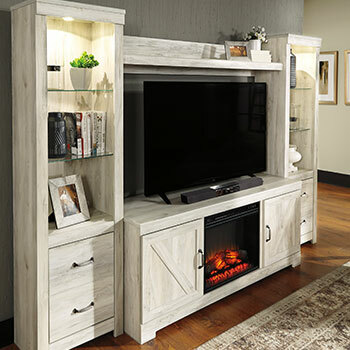 At Luxury Home Furniture, you can choose from the sharpest and most affordable TV stands and consoles, at a price point that will have you renovating your basement in no time. When you own a magnificent high-definition LED television, you can’t just plop it on your floor or any raised surface. Bring an undeniable sense of majesty to any wall space in your basement or dedicated entertainment room, exemplified by one of our richly detailed collections. Display your favorite films like childhood trophies, Blu-rays, and DVDs in one of our entertainment centers and never second-guess what you and your friends will watch this upcoming weekend. Imagine the majesty of a charcoal or a milky merlot finish on every drawer, just at eye-level. Of course, no single room or home will ever be exactly the same. 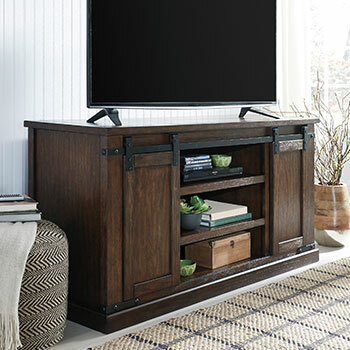 Anywhere you intend to mount a TV, you’ll be interested in our impressive selection of TV stands, small and large. Perhaps you maintain a living space that veers more modern than classical—adorn it with a glass top for your prized TV, and plenty of chrome-finished shelving for all your multimedia accessories. Savor the sweetness of a chestnut, framed at the height of contemporary urban design. We give you every color and style you could ever want in a corner stand. What could possibly create more atmosphere and ambience today than a crackling infrared LED fireplace? You can forget all the messy cleanup, soot and firewood. 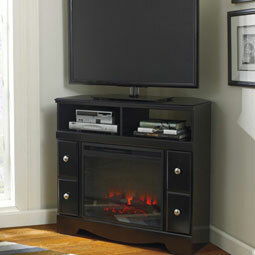 Our electric fireplace inserts can be easily integrated into any TV room or entertainment console. Utilize a remote control and adjust temperature settings comfortably from a distance, without ever leaving the side of a loved one or guest. Visit any of our four Michigan stores to design and furnish the home theater of your dreams.